Suiting up as Optimus Prime? There's not much that's better than that! Face it, you've wanted to be the leader of the Autobots since you were a kid. And know that you've got a kiddo of your own, it's probably time they took a turn at becoming the legendary Transformer. And we've got just the way to do that, too! We have plenty of Transformers costumes, ready for play or for Halloween. 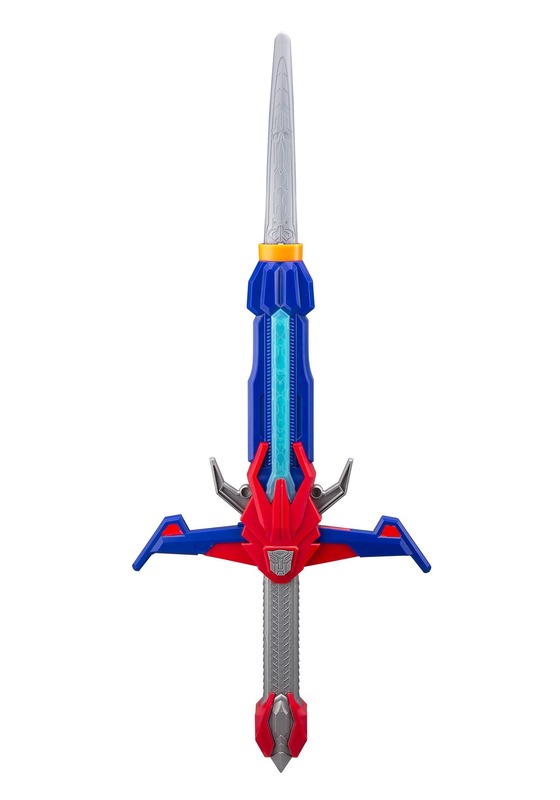 And, then, after you pick out a costume, complete the look with this Deluxe Transformers Optimus Prime Blaster Sword! Officially licensed, this toy sword is about 18 inches long. It features a 2-in-1 effect, as it functions as a blaster until you push the button to extend the sword blade! It has motion-activated battle sounds, too, that feature lights, sounds and speech from Optimus Prime. This is a Deluxe Transformers Optimus Prime Blaster Toy Sword is ready for playtime. But, suiting up in costume is one thing. Because you never know when some Decepticons might show up and try to ruin the day. So, just grab 'em this toy sword, and they'll be ready to fight just like Optimus!